Introductory pages for taking notes of key tasks, projects, personal and group goals. 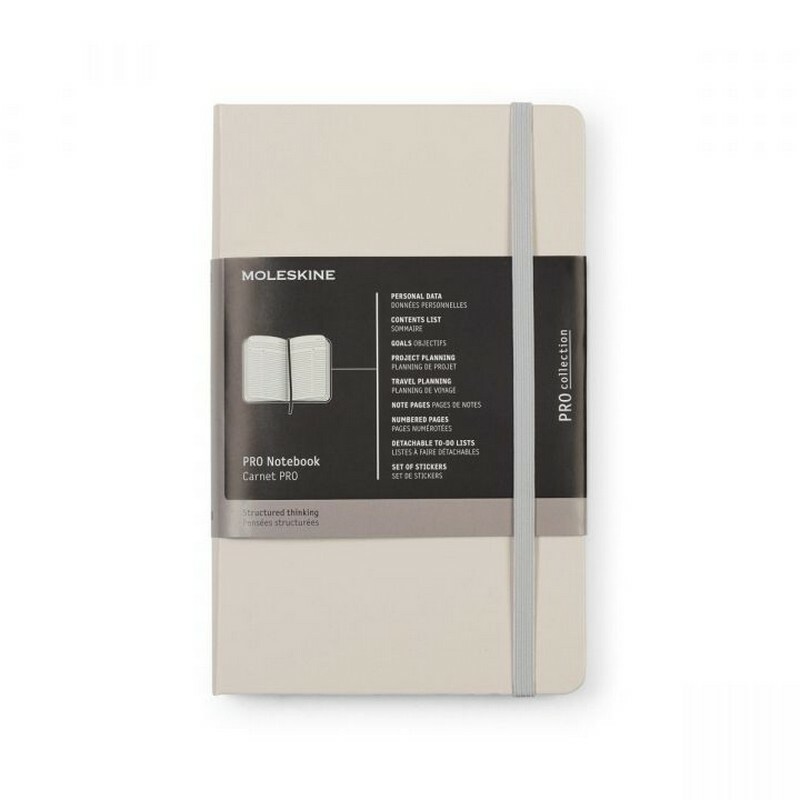 Numbered note pages with areas for names, agenda, in-depth notes, and key subjects. Hard cover, rounded corners and elastic closure. Detachable to-do lists. Ribbon bookmark. Double expandable inner pocket in cardboard and cloth. Table of contents to fill in. Last 8 sheets are detachable. 240 pages (120 sheets). 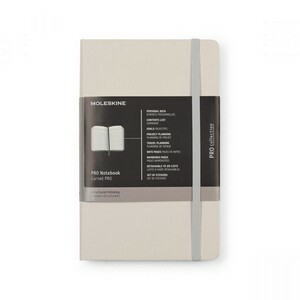 Notebooks come packaged with a Moleskine branded paper band and are individually shrink wrapped. 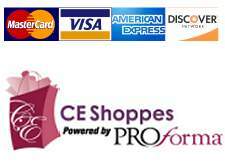 Add a Custom Band (Item # 405), see link below!